All CRYSTAL SPRINGS homes currently listed for sale in St. George as of 04/18/2019 are shown below. You can change the search criteria at any time by pressing the 'Change Search' button below. 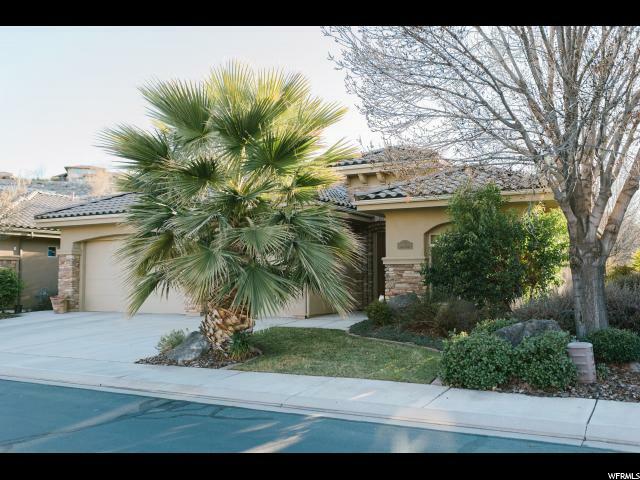 "***OPEN HOUSE WEDNESDAY 2/20 FROM 11-2***Come see this beautiful single level, well kept, former model home in a wonderful community. Sun Brook golf course is just a few minute walk away. 12 foot ceilings, granite countertops in the kitchen, corian counters and showers in bathrooms, plantation shutters through most of the house, beautiful covered patio in back, extra large walk in closet in the master, and much more! Brand new water heater installed in early February as well as almost all new LED lights inside the home. All furnishings and decor available for purchase with separate bill of sale. Sellers have never lived in the home so there will be no SPCD provided. Square footage figures are provided as a courtesy estimate only and were obtained from original listing by the builder . Buyer is advised to obtain an independent measurement."